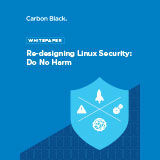 The goals of this whitepaper are to bring light to the flaws with porting Windows security approaches to Linux, identify unique challenges with securing Linux infrastructure, introduce a list of questions one can use to better evaluate a Linux security offering, and propose a core set of design principles on which strong Linux security offerings can be built. Red Hat Enterprise Linux servers provide a cost-effective, efficient, and reliable operating environment. This paper is aimed at information security professionals looking to combat ransomware on their enterprise servers.